We do get the odd famous face in Snake & Tiger, the shop I own with Gareth Miller in Leeds (Thornton’s Arcade to be precise). Obviously we are the absolute soul of discretion and try not to dish the Celebrity Juice… though we do sometimes get mementoes. 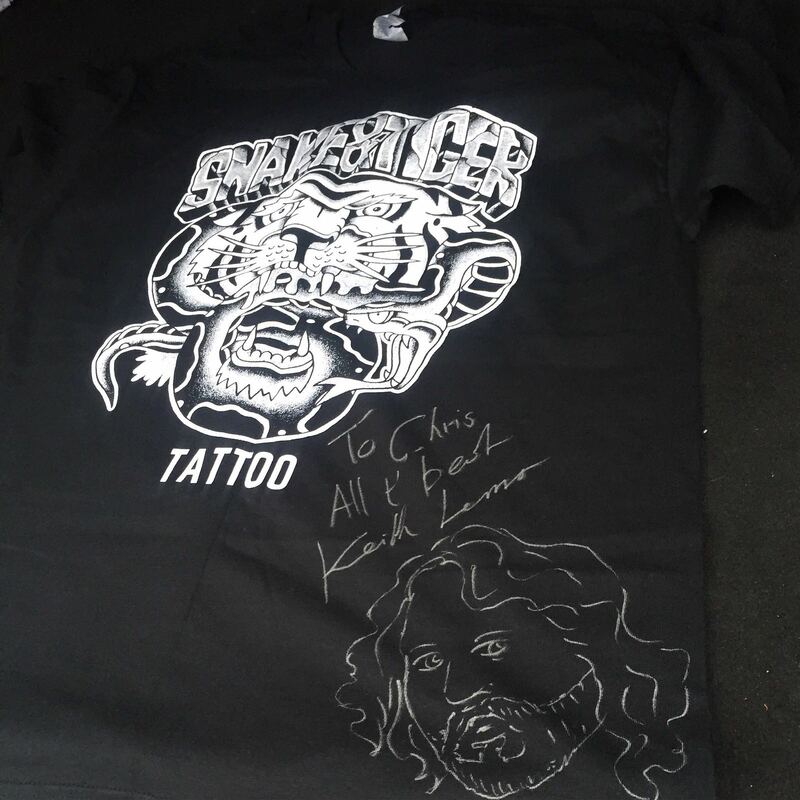 Just the other day, local Leeds boy, TV star and owner of a fine head of hair, Keith Lemon, took a few moments out of his busy schedule to sign one of our Snake & Tiger tshirts. It is, of course, going into a frame and up in the shop. Feel free to come and pay homage to the legend himself any time.